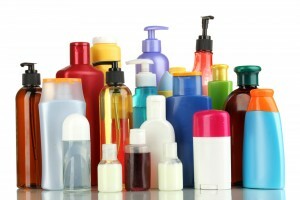 Are There Dangers Lurking In Your Personal Care Products? Posted on May 30, 2013 | Comments Off on Are There Dangers Lurking In Your Personal Care Products? Many of us are becoming increasingly aware of the ingredients in the foods we eat and how they affect our overall health. How many of us give any thought to the ingredients in the products we put on our bodies? Americans use an average of ten personal care products as part of their daily routines, including soap, shampoo, conditioner, deodorant, toothpaste, body lotions, perfumes, and cosmetics, exposing themselves to an array of potentially harmful chemical ingredients. There is growing concern that exposure to these chemicals may cause health problems. What are the chemicals found in these products and are they safe for us to use? The U.S. Food and Drug Administration’s legal authority over personal care products is different from other products regulated by the agency, such as drugs, biologics, and medical devices. Cosmetic products and ingredients are not subject to FDA premarket approval authority, with the exception of color additives. The law that governs cosmetics has not been updated since its enactment in 1938. Under our current system, the cosmetic industry is self-regulating. Its scientific review panel, set up in 1978, has deemed only 11 ingredients unsafe for cosmetics. By contrast, the European Union’s regulatory framework and independent review process has restricted the use of more than 1,000 ingredients in cosmetics. 1) Require pre-market safety assessment of cosmetics to the gold standard of “reasonability of no harm ” to protect vulnerable populations like children and the elderly. 2) Establish a list of ingredients, such as carcinogens and reproductive toxins, that could never be used in cosmetics. 3) Authorize the Federal Food and Drug Administration to move swiftly to take unsafe product ingredients off the market. 4) Require full disclosure of ingredients used in cosmetics. The skin is our largest organ. What we put on our skin is absorbed into our bodies. Many products contain known carcinogens, neurotoxins and reproductive toxins. Among these are the chemicals known as phthalates, triclosan, parabens and musk, all of which may alter the hormonal system. Formaldehyde and 1,4 dioxane are two substances of particular concern. Neither is technically an ingredient, so you won’t find them listed on your ingredient labels. Formaldehyde, which has been identified by government scientists as a carcinogen, is released over time by common preservatives like quaternium-15 and DMDM hydantoin, which do appear on labels. And 1,4 dioxane, which has been linked to cancer in animal studies, is created during a process commonly used to make other ingredients gentler on the skin. Parabens – Parabens such as propylparaben, methylparaben, butlyparaben and benzylparaben are commonly used preservatives found in shampoos, conditioners, moisturizers and many types of cosmetics. Parabens are known to disrupt hormone function and have been linked to increased risk of breast cancer and reproductive toxicity. Parabens mimic estrogen by binding to estrogen receptors in cells. Petrolatum – Commonly known as petroleum jelly, petrolatum is a by-product of petroleum and as such may be contaminated with polycyclic aromatic hydrocarbons (PAHs). It is used as a moisture barrier in a variety of moisturizers and hair care products. Studies suggest that exposure, including skin contact, with PAHs is associated with cancer. The European Union classifies petrolatum as a carcinogen and its use in cosmetics is restricted. Formaldehyde-releasing preservatives – Listed as DMDM hydantoin, diazolidinyl urea, metnenamine, quaternium-15 and sodium hydroxymethylglycinate, these formaldehyde-releasing agents are used as preservatives in a wide range of cosmetics. The International Agency for Research on Cancer classifies formaldehyde as a known human carcinogen. Although the use of formaldehyde is restricted, the use of these releasing agents is not. Triclosan – Used in antibacterial cosmetics such as toothpaste, cleansers, hand sanitizers, antiperspirants, and other “antibacterials,” triclosan is a suspected endocrine disrupter and may contribute to antibiotic-resistant bacteria. The U.S. Centers for Disease Control and Prevention scientists detected triclosan in the urine of nearly 75% of persons tested. The European Union classifies triclosan as irritating to the skin and eyes, and as very toxic to aquatic organisms, noting that it may cause long-term adverse effects in the aquatic environment. Environment Canada likewise categorized triclosan as potentially toxic to aquatic organisms, bioaccumulative, and persistent. In other words, it doesn’t easily degrade and can build up in the environment after it has been rinsed down the shower drain. Sodium laureth sulfate – Used in foaming cosmetics, such as shampoos, cleansers, shower gels and bubble bath. Depending on manufacturing processes, sodium laureth sulfate can be contaminated with measurable amounts of 1,4-dioxane, a possible human carcinogen and ethylene oxide, a known human carcinogen. Ethylene oxide can also harm the nervous system and the California Environmental Protection Agency has classified it as a possible developmental toxicant based on evidence that it may interfere with human development. 1,4-dioxane is persistent as it doesn’t easily degrade and can remain in the environment for an indeterminate amount of time. Ingredients ending in “siloxane” – These silicone-based compounds are used in cosmetics to soften, smooth, and moisten. They make hair products dry more quickly and deodorant creams slide on more easily. They are also used extensively in moisturizers and facial treatments. The EU classifies siloxane products as endocrine disrupters based on evidence that it interferes with human hormone function that may impair human fertility. Polyethylene glycols – PEGs are petroleum-based compounds that are widely used in cosmetics as thickeners, solvents, softeners, and moisture-carriers. PEGs are commonly used as bases in cosmetic creams. Depending on manufacturing processes, PEGs may be contaminated with measurable amounts of ethylene oxide and 1,4-dioxane. Parfum – Also known as “fragrance”, mixtures of these chemical compounds are used in a variety of cosmetics. Fragrance is an obvious ingredient in perfumes, colognes, and deodorants, but it’s also used in nearly every type of personal care product. Even products marketed as “fragrance-free” or “unscented” may contain fragrance along with a masking agent that prevents the brain from perceiving odor. Diethyl phthalate (DEP) is widely used in cosmetic fragrances to make the scent linger. Phthalates have been linked to early puberty in girls, reduced sperm count in men, and reproductive defects in the developing male fetus. Heavy metals (Lead, aluminum, arsenic, nickel, beryllium, mercury, cadmium and nickel) – Found in most popular cosmetic products, these ingredients are impurities or unintentional contaminants that manufacturers are not required to disclose. Currently, there are no standards or guidelines for toxic heavy metal contaminants in cosmetics. Individual exposures to these metals in small amounts are unlikely to cause harm, but heavy metals can build up in the body over time and may increase risk for a variety of health problems. Skin is highly permeable, allowing what you apply to your body access to your bloodstream and potentially your entire body. Concern regarding the ingredients of the products you use should prompt you to start reading the product ingredient labels. You may want to consider using up the products you have at home and replacing them with friendlier, less toxic products as you need them. Natural cosmetics will have a shorter shelf life than conventional products as they should not contain preservatives or synthetic ingredients that may disrupt natural body processes. Once again, it’s wise to be a savvy shopper and pay attention to the details for a healthier overall awareness of your daily personal care routine. The Thorne Organics’ Dermal Matrix System delivers personal care products formulated without the 27 commonly used harsh or toxic ingredients. All Thorne products list all ingredients contained, as well as what you will not find in their product line. Thorne Organics Starter Kit – The starter kit contains sample/travel sizes of the top-selling skin, hair, and body-care products made with organic essential oils and extracts specially formulated for sensitive skin. All ingredients are certified organic and contain no additional ingredients. A great way to sample several products! Thorne Organics Manuka Therapy Cream – Blended with rich botanicals, Thorne’s Manuka Therapy Cream helps protect your skin with healing and nourishing properties of the manuka plant. It is ideal for rough, red, dry or scaly patches or difficult to treat areas. Wonderful as a night-time face cream. This entry was posted in Health & Wellness, Home and tagged danger, Manuka Therapy Cream, Personal Care Products, Skin Care Bars, Thorne Organics. Bookmark the permalink.